I'm always used to the fact of using the old kind model of an electric fan. Though, I've seen many new modern stand fans lately, we never get the chance to be able to possess one. Why? Because we still have the old model and works just fine, so there is no sense of buying a new appliances where in fact we can save money by using the old one we have. Nevertheless, I would love to acquire and experience a new model fan as the heat in my place during the Summer is sometimes outrageous, that a fan or fans are necessary to cool off your day and night. And I guess, I am fortunate enough to be able to get one for free from Ozeri Company. 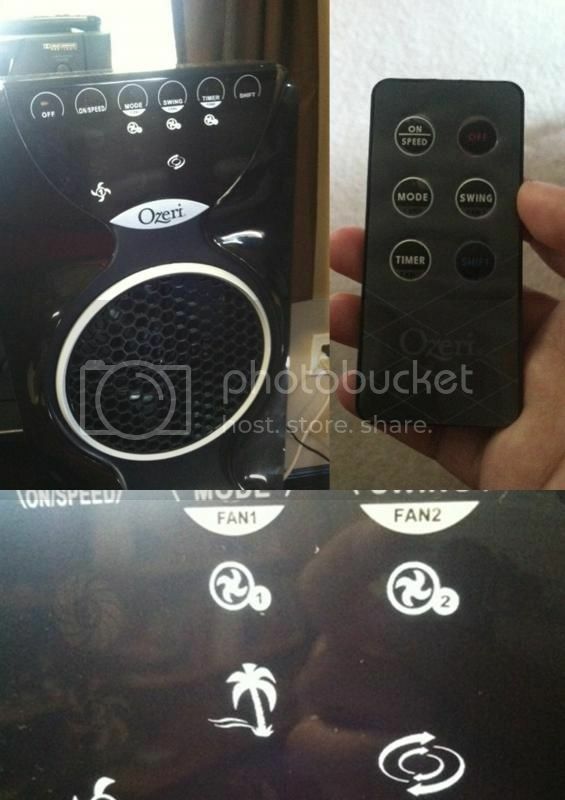 Working on a product review about one of Ozeri's amazing product is just a privilege for me, not only that I'll be able to possess one of their modern fans, I will also get to enjoy the benefits of 3x Tower Fan in our home. The product can be purchased at Amazon for only $99.95. · Upgraded with canted fan blades that utilize the physics of the blade curvature to generate opposing sound waves to reduce blade noise and isolate the soothing sounds of the airflow itself. · Boasting unrivaled technology, the 3x Tower fan is engineered with 3 independently controllable fans and 3 fan speeds, offering up to 9 levels of cooling and customized airflow. · Defining the latest in stylistic innovation and digital decor, the 3x Tower fan is among the world's thinnest fans at less than 3 inches thick and boasts a visually arresting design with an elegant reinforced glass base stand. · Features 3 preprogrammed airflow patterns designed to foster sleep, relaxation and comfort with 90 degree whisper-quiet oscillation for optimal air circulation. · Extended range remote control and the touch sensitive LED control panel provide easy access to all features, including a 7.5 hour timer that can be programmed in 30 minute increments. I acknowledge the product which arrives in the mail through UPS with its great condition. I've seen the packaging and I am delighted how securely intact, they pack the item in order to arrive to their customer safe and one piece, not pieces. LOL! When we unpack the item, you may notice that the appliance is fully protected with Styrofoam, plastics and card boards surrounds it and yes! The 3X Tower Fan is fully sheltered. 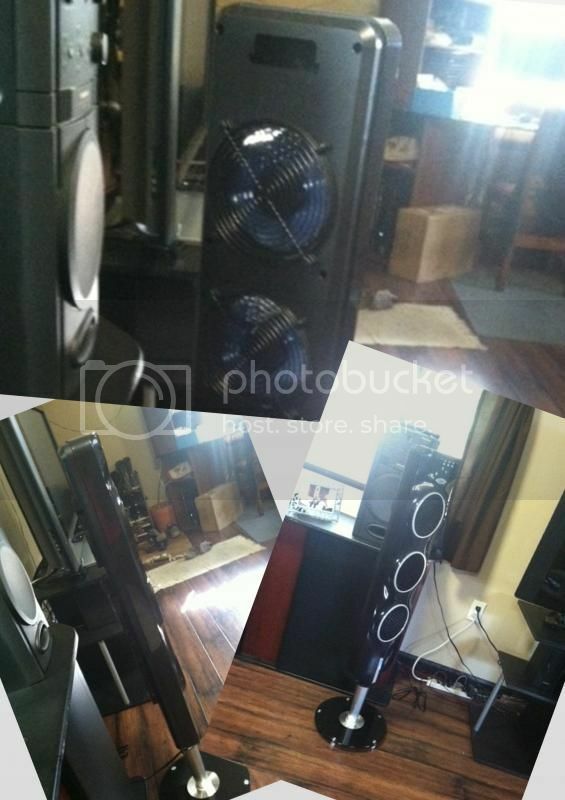 · I love the light weight of the Tower fan, I would not be able to exert more force to carry the fan from one place to the other. · The digital type with remote control is the simplest ways to change the settings without going to the fan, which I find very addicting. · The options that I can actually choose whether I would like the standard wind or the tropical breeze as well as the evening wind, very much awesome. · I love how slim the 3X Tower Fan does not occupy a lot of space and I can always slip it in one corner without too bulky. Overall, my experience using the 3X Tower Fan from Ozeri is amazing. I would say I will recommend this product to family and friends. Would definitely rate it 5 stars not only because I am very satisfied with the features, I am also happy how sturdy it is. It does meet my standard requirements and the quality of the product would speak for itself. I am glad, I have the opportunity to share this amazing product to those who seeks for a good, inexpensive fan. This is NOT a sponsored post. I received the products for free in exchange of my honesty review. The outlook I expressed is 100% exclusively mine. Wow! A 5-star rating means it's really a great product. I agree that it looks sturdy and the feature I like it the most is having a remote controller! I haven't seen that kind here in the US. It will be great to have one at home, because then I won't disturb myself or someone else to turn on/off and change the fan settings while watching my favorite soaps! LOL! I barely give a 5 star rating because I believe that honesty is what the customers want to hear from those who experienced the product, right? totally free-noise and just love the product from top to bottom. timely! We will buy 2 units of fan this weekend- available na kaya yan sa Abenson or SM Appliance? I hope it will be available soon in your area, you won't regret on purchasing one. I wanted one of these but my contact doesn't have one aghhh. Love that! Great product. I love space savers. The product you received is both stylish and functional. I hope we get the same kind of opportunities for product reviews here in the Philippines. Kuripot kasi mga companies dito. hahaha. so true, mommy I assume i'm one of the fortunate blogger to be able to get this opportunity to received such amazing products in order to widen the stances of what could a customer benefits with their products. That look nice! Perfect for the humid Florida air. true sis, you can even choose the mode weather a tropical of night breeze just amazing.